TOKYO: During his visit to Japan, Prime Minister Narendra Modi may not have closed a deal on nuclear energy cooperation, but he is returning with a pledge from counterpart Shinzo Abe for nearly 34 billion dollars in investment over the next five years, and the sale of an amphibious aircraft to India's navy. The deal marks the intent of Asia's second and third largest economies to counter an increasingly aggressive China. 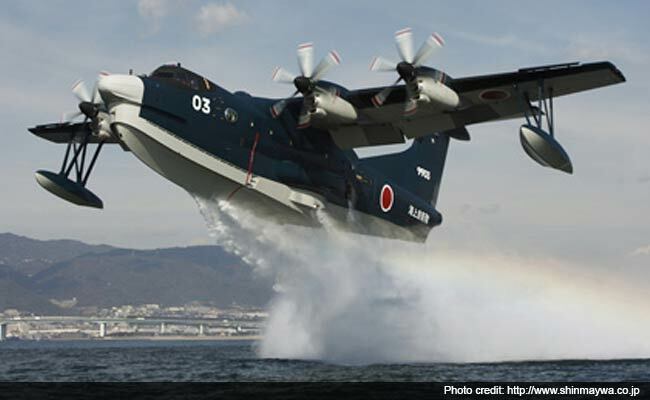 The specialised sea-plane, the US-2, will be Japan's first overseas military sale in nearly 50 years. 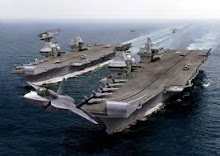 Because it provides landings on sea and land, the plane will significantly enhance the Indian Navy's ability to carry out, casualty evacuations, deliver humanitarian assistance and conduct long-range surveillance and reconnaissance. In keeping with Mr Modi's emphasis on developing military technology indigenously to check India's dependence on foreign defence manufacturers, the US-2 planes will be made in India. The Indian Navy has been lobbying to get 15 of these. A statement issued in Tokyo after Monday's summit between Prime Ministers Modi and Abe said "both sides directed the Joint Working Group to accelerate progress in the discussions and preparations for a road map for the development of the Indian aircraft industry through US-2 amphibian aircraft cooperation including the transfer of the aircraft and its technology to India." This is the first time since World War-II ended seven decades ago that Japan will be selling military hardware abroad. Following its defeat, Japan had imposed an embargo on sale of weapons and military equipment. The four-engine US-2 aircraft will act as a force multiplier for the Indian Navy, allowing it to quickly insert troops at places where there is no landing strip on shore, including the numerous far-flung islands in Andaman and Nicobar and Lakshwadeep. Currently, ground troops are delivered to areas like this using a 'Landing Ship Tank' which isn't always effective. The Sea Planes will allow faster troop insertion of small clusters of soldiers for specialised operations. India's coastline runs nearly 7,500 kilometres and the Navy had earlier projected a requirement of 15 such sea planes, but their acquisition was stalled by a shortage of funds and other competing requirements, seen as more urgent - like acquiring multi-role helicopters, torpedoes, submarines and ships. The US-2 is one sturdiest aircrafts and can operate in sea state 5 conditions (wind speed of 30 to 38 km per hour) on the high seas as well as on rivers and lakes. Each plane can carry about 30 personnel and lift 18 tonnes and fly 4,500 km at stretch without needing to stop for refuelling.